Sage Innovations is an energetic company ready to serve you. We are based in Calgary, Canada but can help you no matter where you are. We believe in creating websites which are easy to navigate, great to look at and are personalized to your tastes and wishes. Let us get you online! We're just one click away and that click is right here. Check out some of our happy clients' websites. 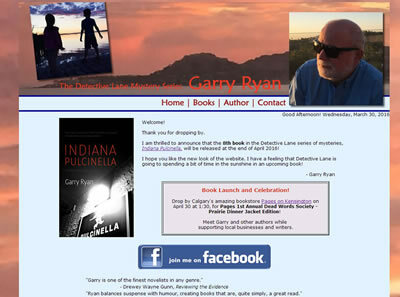 Featured site from our portfolio - Garry Ryan - Mystery Writer - Click to visit.